Enjoy your favorite sport with your family or your friends. No need to go on vacation with your bike, save that boot space for more important things. You can rent any of our bikes for use and enjoy a lot of routes and areas that we have throughout the town of Guardamar. 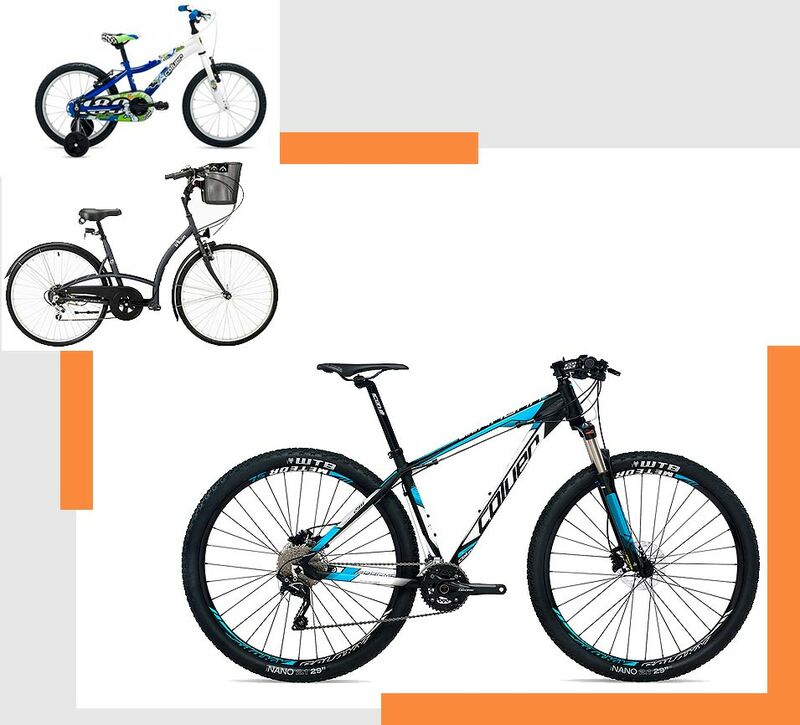 We have a wide range of models of bicycles, for the smaller riders, normal, mountain and road. Do not hesitate and rent it now !!! From here. Check the type of bike and availability and select the date to make your reservation. Rent up to 2 weeks. Bikes for adults and children of any age. Option of helmet, basket, saddlebags, saddle and rollers for younge riders. Several places for pick up and return of the bicycle. Same place of pick up and return of the bicycle. Option to take and pick up the bike to your home. Avenida de Europa (Guardamar Municipal Pool) // From Monday to Sunday – 8:00 a.m. to 12:30 p.m. and 5:00 p.m. to 10:30 p.m.
Puerto Deportivo Guardamar // From Monday to Sunday – 9:00 a.m. to 2:00 p.m. and 5:00 p.m. to 9:00 p.m.
Guardamar Headquarters // From Monday to Sunday – 9:00 a.m. to 2:00 p.m. and 4:00 p.m. to 7:30 p.m. Camping Marjal Costa Blanca de Crevillente // From Monday to Sunday – 10:00 a.m. to 2:00 p.m. and 5:30 p.m. to 9:30 p.m.
A deposit will be given for the collection of the bicycle. The deposit is returned after checking that the bike is in good condition.